The Ministry for Primary Industries today extended the public health warning against collecting shellfish in the Northland east coast region. 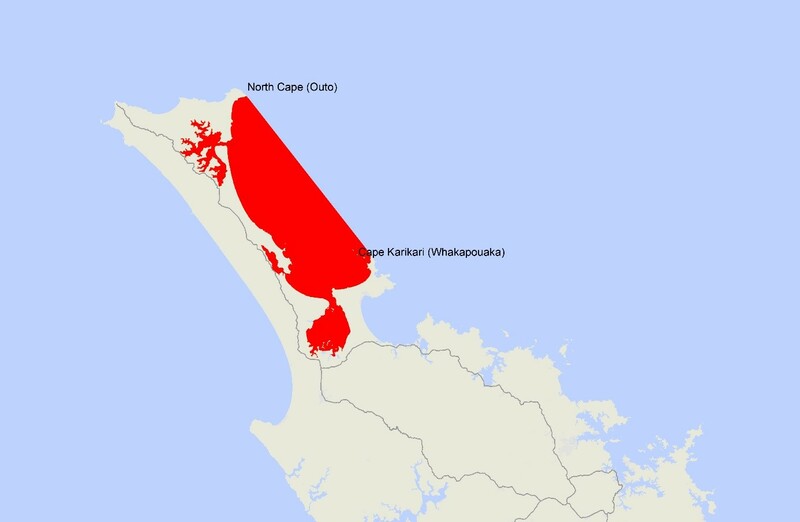 The affected area now extends from North Cape (Outo) south to Cape Karikari (Whakapouaka). The warning includes Parengarenga, Houhoura and Rangaunu Harbours. This warning has been extended due to a reported illness from someone consuming shellfish collected from Rarawa Beach. MPI is undertaking sampling and testing of shellfish from this region. Test results have shown levels of Paralytic Shellfish Poisoning (PSP) toxins above the safe limit of 0.8 mg/kg set by MPI. Anyone eating shellfish from this area is potentially at risk of illness. This entry was posted in Algal Toxin, Biotoxin, Food Micro Blog, Food Microbiology, Food Microbiology Blog, Food Toxin, microbial contamination, Microbiology, paralytic shellfish poisoning, PSP, Toxin, Uncategorized, water microbiology. Bookmark the permalink.